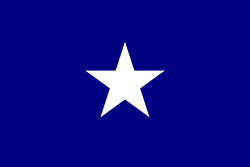 The Territory of Orleans or Orleans Territory was an organized incorporated territory of the United States that existed from October 1, 1804 until April 30, 1812, when it was admitted to the Union as the State of Louisiana. The Organic Act of 1804, passed on March 26 for October 1 implementation, also created the United States District Court for the District of Orleans—the only time Congress has ever provided a territory with a United States district court equal in its authority and jurisdiction to those of the states. Congress also established the Superior Court for the Territory of Orleans whose three judges were the top territorial court. On April 10, 1805, the Territorial Legislature organized 12 counties (starting from the southeast corner moving west and north): Orleans County, LaFourche County, German Coast, Acadia County, Iberville County, Attakapas County, Pointe Coupée County, Opelousas County, Rapides County, Concordia County, Natchitoches County, and Ouachita County. The Florida Parishes on the east side of the Mississippi River were not included in Orleans Territory at this time, as they were in the Spanish territory of West Florida until they were formally annexed on April 14, 1812. The western boundary with Spanish Texas was not fully defined until the Adams–Onís Treaty in 1819. A strip of land known as the Sabine Free State just east of the Sabine River served as a neutral ground buffer area from about 1807 until 1819. The Orleans Territory was the site of the largest slave revolt in American history, the 1811 German Coast Uprising. William C. C. Claiborne was appointed Governor of the Orleans Territory; he held this position throughout the territorial period. Later he became the first Governor of the state of Louisiana. There were two Territorial Secretaries, James Brown (1804–1807) and Thomas B. Robertson (1807–1811). Daniel Clark became the first Territorial Delegate to the U.S. Congress, in December 1806. Judge Dominic Augustin Hall was the U.S. District Judge of the Territory. Judges of the Superior Court were John Bartow Prevost (1804–1808), Ephraim Kirby (1804) (died en route to New Orleans), Peter Stephen Du Ponceau (1804) (declined President Thomas Jefferson's appointment), William Sprigg (1805–1807), George Mathews, Jr. (1805–1813), Joshua Lewis (1807–1813), and Francois Xavier Martin (1810–1813). 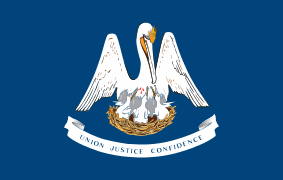 ↑ U.S. District Courts of Louisiana, Legislative history, Federal Judicial Center. ↑ 2 Stat. 708, "An Act to enlarge the limits of the state of Louisiana"
Julien Vernet, Strangers on Their Native Soil: Opposition to United States' Governance in Louisiana's Orleans Territory, 1803-1809. Jackson, MS: University Press of Mississippi, 2013.